Two music artists have saluted the late Stephen Hawking who died yesterday at the age of 76. Brian May, who actually lives in a similar mind geography as Hawking as he has a PhD in astrophysics, released a short statement about the scientist's passing. So sad to wake up to the news that our dear friend Stephen Hawking has passed away. He was one of the bravest men I ever met - optimistic and caring. And all the way, although hampered by being able to communicate at the rate of only two words a minute, still managing to crack gentle jokes, and make incisive comments. We at Starmus were privileged to spend quiet time with Stephen, and will miss him badly. He was without a doubt one of the greatest intellects the World has ever seen. 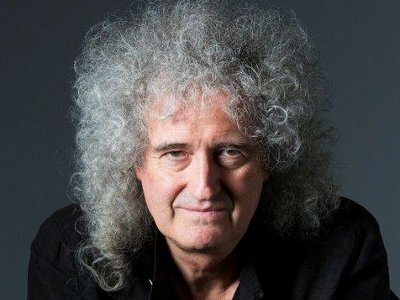 May also was a co-founder of the Starmus Festival which brings together people of the science community with musicians for a unique weekend of both talks and concerts. Starmus also released a statement about Hawking who spoke at the festival in 2014. Stephen Hawking was a point of reference for scientists and science lovers and member of Starmus Advisory Board. The Stephen Hawking Medal, awarded to the most successful science communicators, will keep his legacy and continue to inspire science lovers in the name of Stephen Hawking. To many of us, Stephen Hawking was a symbol – a symbol of the immense capabilities of the human being, a symbol of never surrendering mind, and of science itself. It strikes us as quite symbolic that he was born on Kepler’s birthday, 300 years later, passed away on Einstein’s birthday, and, like Einstein, lived to the age of 76. We will keep this symbol in our hearts and follow the path he craved for us. Rest in peace, Professor Hawking! I had the pleasure of meeting Stephen Hawking as he and I were leaving a restaurant in Cambridge, England sometime around the year 1980. Needless to say, we have lost one of the greatest minds in science (which, BTW, is a word directly translated from the Latin word “scire” which simply means - “know”.